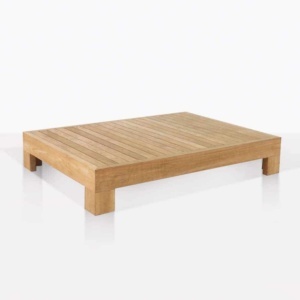 Introducing the Monterey Coffee Table; so stately and chic, it will fit into any space effortlessly. 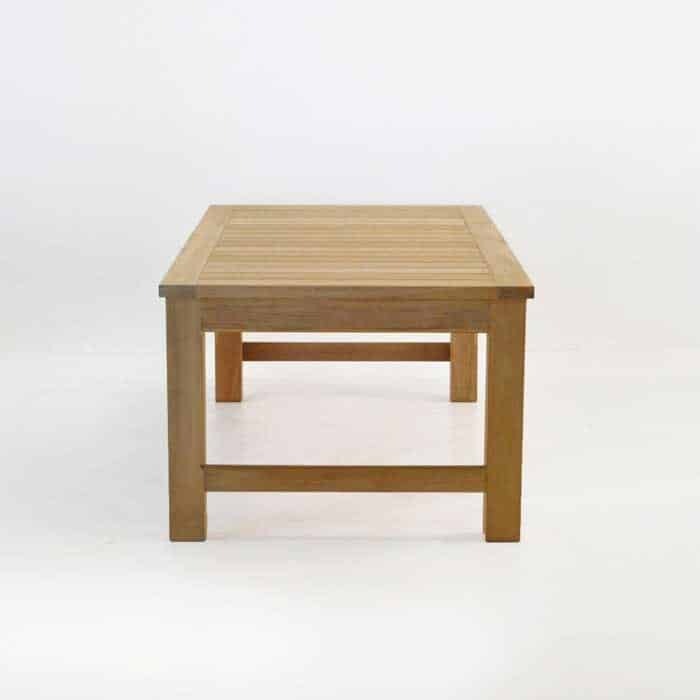 Whether paired with the rest of the Monterey family, or standing alone; this Grade A Teak Coffee Table features a routed finish on its legs with a simple and classic design. The Monterey Collection, our resolute, top seller at Design Warehouse, was inspired by the finesse and composure of early to mid century furniture. 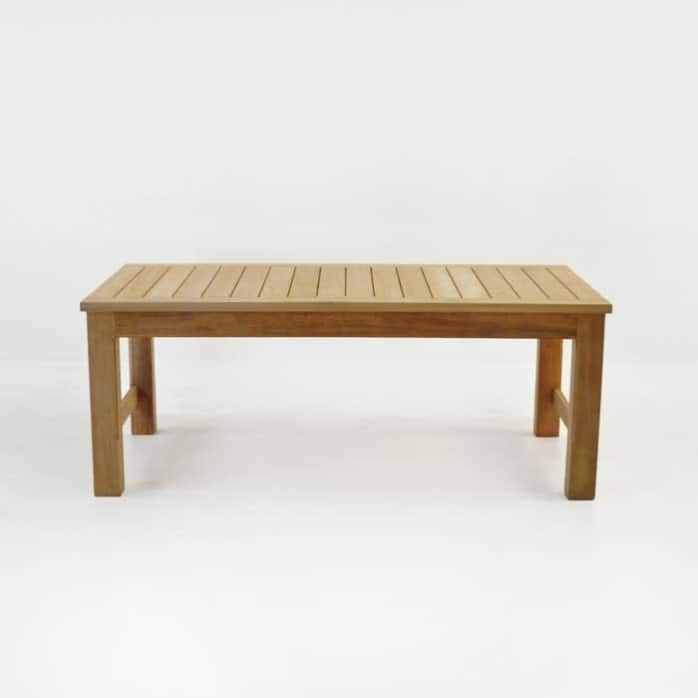 Dignified, tranquil, and polished; this collection is defined by its solid, sturdy frame; with wide, angular detailing creating a summery and restful look you will love entertaining and relaxing in. 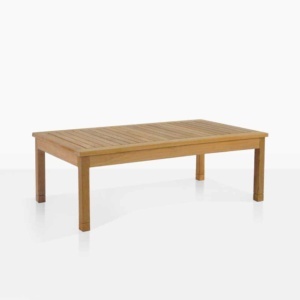 The Monterey Coffee Table is a fabulous rectangular table for indoors and out! Tightly placed planks make an ideal surface for glassware, or for those grand table top books you wish to showcase. Place in the midst of the Monterey Collection for extra impact – try it parallel with the Monterey Sofa, add a Monterey Loveseat to a short end and two Monterey Club Chairs to the opposite side and you’ve got the perfect, welcoming area to spend hours upon hours in! Or add it to your living room set for a sweet, simple statement piece. 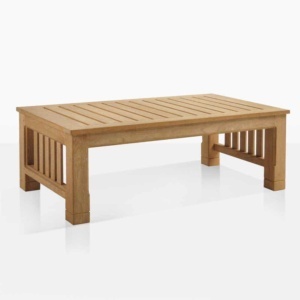 The Monterey Coffee Table is proudly made using Grade A Teak and marine quality bolts and fixings, ensuring that you will enjoy it for years to come.